Google Android who has become the most famous in smartphones Operating System has started rolling out Android 8.1 device to Nexus and Pixel hardware. This devices Android Operating system has now been fully covered in the market now. Android Oreo was the latest update from the company which is version numbered 8.0. But the company has already been declared that the latest Android version 8.1 Oreo will soon be available for Google Pixel, Pixel 2 and Pixel 2 XL. Android O, which stands for Oreo is the name of the current version by Google’s mega-popular mobile operating system that's available for some select devices with the features to focuses on speed and its efficiency. Many phones updated to Android 8.0, and another name for Oreo, will work and boot in speeds that will increases as much as two times, as it’s seen with the Google Pixel. Additionally, the operating system update will also tackles pesky background activity that drains users’ battery and data plan. 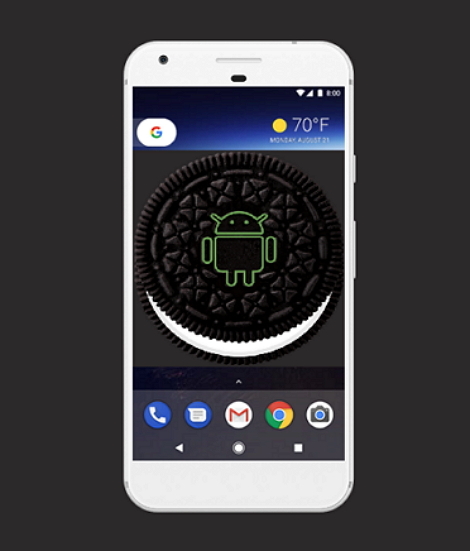 Android Oreo 8.1 bring a lot of more tempting features making the upgrade to Google’s latest mobile OS version to all android devices. The updates add various new features to the already efficient operating system. Bug fixes and performance up-gradation is the basic part of this new update. The update bring a new feature called Wi-Fi Speed Label and show the present speed of Wi-Fi network that the user are connected to. There are categories of speed such as Slow, OK, Fast, or Very Fast. Another feature about this update is smart selection. The update improves the experience of copy and paste in Android devices. If you long pressing the text, it will give you new option for text formatting and the new Oreo version also recognize email addresses, phone number and URLs. Some of these features also occurred in touch-screen sensitivity. Individual screen setting has been tweaked. For instance, if you tap on battery, you will see a new visualization of run time and when you tap back, you’ll as well as toggle for battery saver and adaptive brightness, and the inactivity sleep timer will occur. You will discover some of these changes and this updates is going to be available in the new version of Oreo while other addition improvement in the update includes on better connectivity option, media improvement in quality of audio and video recording. There are lots of up-gradation which is going to help the developers and manufacturers to the very extend in producing best android devices. The parts of this update are the better Artificial Intelligence and Machine Learning marks. With this new Android release, device on which you can install Oreo version are Pixel 2, Pixel XL, Nexus 5X, Nexus 6P, Pixel C tablet and Nexus player set-box. Google has also confirm that the Oreo 8.1 update will hit every devices from popular manufacturers by the end of the year including General Mobile, HMD Global Home of Nokia Phones, Huawei, HTC, Kyocera, LGs, Motorola, Samsung with all Galaxy S8, Note 8, Sharp, Sony and more.